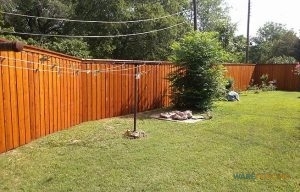 If you’re needing a quality fence company in Euless, TX, you have come to the right place. We here at Ware Fencing are specialists in everything fencing, including fence repair, fence installation, and fence replacement. Our services are meant to help add to the curb appeal and the property value of your house or business, while also supplying you with a functional addition. Our crew works hard to make your fencing vision a reality. To learn more about your fence choices, give us a call at 817-948-4503 now! As a professional and local fence company in the Euless area, we have years of experience servicing houses and businesses in the community. If you require farm or ranch fence answers, we can help you with that too, even with horse fencing. For our home fence options, we have plenty of options you can choose from, including chain link, cedar, iron, and chain link, just to name a few. Our cedar fencing is among our most common, as a rustic suburban look, and our aluminum fencing is a great choice if you’re searching for an affordable yet functional safety fence. Our fencing can also offer additional security, so make sure to ask about our specialized security fences, and other secure fences. Our team is so skilled and experienced, we can also provide you with custom fence designs, built to your exact specifications. 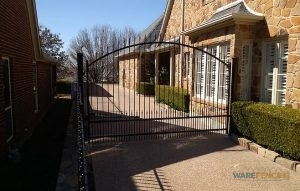 When you require a dependable fence company in Euless, TX, you can depend on us. We only use top quality materials, and customer satisfaction is our number one objective. Each client we work for gets a full inspection, and we work diligently to build fences to your precise specifications. If you’d like to ask for a quote, or set up an appointment, you can reach the team at 817-948-4503! Regardless of what your fencing requirements are, our experts will not let you down!